When Arlene Last-Kolb's son Jessie, 24, died of a drug overdose a little more than four years ago, she turned to alcohol to help with her grief. On Oct. 11, she visited one of Winnipeg's new rapid access to addictions medicine (RAAM) clinics. Within a two-hour visit, she says, she was able to speak with specialists and was a given a prescription for naltrexone, a medication that is used in treating alcohol use disorder. The drug can reduce the euphoria that is experienced when people consume alcohol and can be effective in helping to reduce cravings. Last-Kolb was impressed with the treatment she received at the RAAM clinic, but was surprised to find out she'd have to wait to see whether the naltrexone she had been prescribed would be covered by Manitoba's pharmacare program. She wanted to start treatment immediately and opted to pay the $95 to fill the prescription that day, but she realizes that might not be an option for everyone. She wants the drug to be more accessible for those who need it. "If I couldn't have afforded my prescription that day, I'm positive I would have went home and drank quite heavily for two more days and who knows if I would have came back," she said. 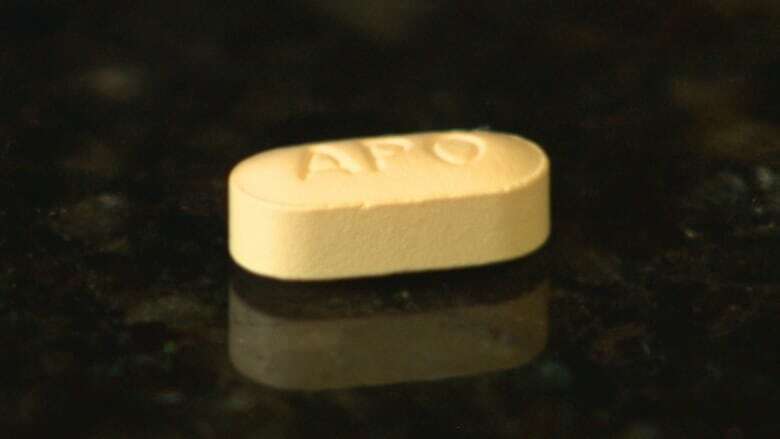 Naltrexone is on a provincial list of drugs that requires the person prescribing the medication to apply for approval through the Part 3 exception drug status (EDS) program in order for it to be covered by Manitoba's pharmacare program. For it to be approved the patient must meet certain criteria. Dr. Ginette Poulin, medical director at the Addictions Foundation of Manitoba, sees cases where it takes up to a week for coverage to be approved. Poulin says when it comes to addictions, timely access to treatment is crucial for people who are looking to get help. "When they walk through that door they're wanting the treatment and if they express that, we really need to make all our efforts to be the most adaptable and receptive," she said. "We also know the moment they walk out that door is an opportunity lost where follow through might not happen. Sometimes their worlds are very chaotic, they're at risk for relapse, and so we want to do as much things as possible to ensure that we're putting all the cards in their favour." Poulin describes naltrexone as a front-line medication in treating alcohol use disorder. None of the requests she has submitted for approval have been denied. She says that on a personal level and from the patient perspective she doesn't see why the drug should still be listed on the EDS program. "Certainly anything that we could do to reduce that extra paperwork or time barriers certainly is something that we would want to help advocate for," she said. The province says there have been calls to remove the drug from the EDS program since the opening of the RAAM clinics this fall. In the case of naltrexone, a spokesman said, the potential that an increased number of patients will be prescribed this treatment now that the RAAM clinics are open triggers a review of the current status to improve access for patients. However, there is no timeline on when a change could happen. Poulin says she's in the process of writing a case to present to government to consider when they're making the decision regarding naltrexone's status. "Certainly we've got the ball rolling now," she said. Poulin would also like to see more awareness about the drug and how it can work for some patients. She says while opioids and crystal meth are major problems in Manitoba, alcohol is not getting the attention it deserves. "When we look at the literature that is out there — numbers that are provided on a national level, as well as on a provincial level and certainly locally even here at Addictions Foundation of Manitoba — alcohol is a No. 1 reason in terms of substance use where many of our adults are accessing treatment here at the Addictions Foundation of Manitoba," Poulin said. Since Last-Kolb's son died of a fentanyl overdose in July of 2014, she has worked hard to raise awareness about the need for better treatment and support for those facing addiction. "The bottom line is that when people go for help, they need help right away and not that afternoon, not two days, not a week, not a month." she said, adding she has contacted the provincial health minister's office to share her story. Last-Kolb says naltrexone has helped with her recovery. "If this can work for other people the same way it can work for me, well then we need to let people know about it and we need to let people know they can go and access it."